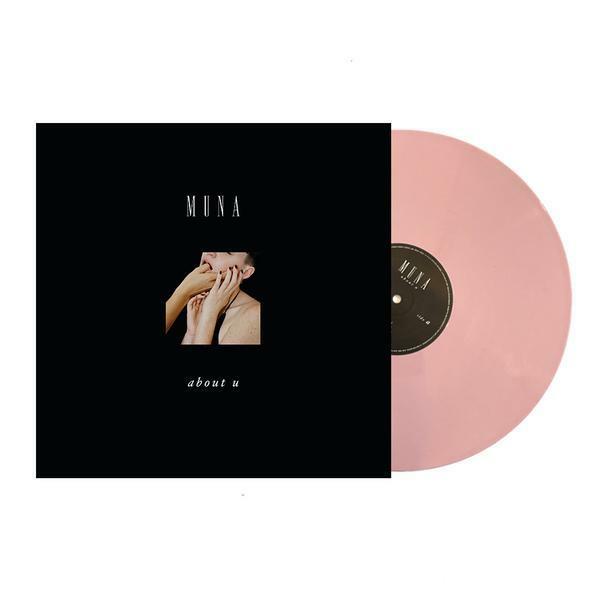 This is the vinyl edition of MUNA's debut album About U, pressed on pink vinyl. Originally released February 2017, this album put MUNA on the map with their mashup of politically-charged power pop and massive synths. One of those "fists up even as tears roll down your cheeks" records. MUNA's song "Promise" was featured on VINYL MOON Volume 007: Parallels.